Flexible classrooms have become one of the most innovative trends to emerge in education. Inspired by research that has shown that learning environments matter, teachers have begun transforming their classrooms to help encourage their students to remain active and engaged in the lesson plan. The major identifier of flexible classrooms is the introduction of quirky, adjustable furniture that can easily be repositioned to create an assortment of learning spaces within a single room. For example, students may opt to stand at desks, sit in beach chairs, kneel on pillows at coffee tables, or even lounge on bean bags depending on the task. With devices being used in lesson plans, it is important to consider how they will also be integrated into such classroom layouts. Luckily, when it comes to charging and storage solutions for mobile devices, there is a wide range of options available with a variety of features and functionality. By being aware of what qualities to look for in a charging solution, it is possible to find one that will not only complement the flexible classroom, but also the lesson plan. Some charging solutions are built to be stationary, whereas others are built to be mobile, with no ability to interchange between the two options. Although this may not be a problem for a number of teachers, it poses an obstacle for teachers who regularly rearrange classroom furniture because it restricts where and how the devices can be stored. In these cases, carrying a charging solution that is designed to be stationary is not practical and poses a safety hazard to yourself—as well as the devices! Fortunately, there are a number of adjustable charging solutions that let you decide whether they should be stationary or mobile. 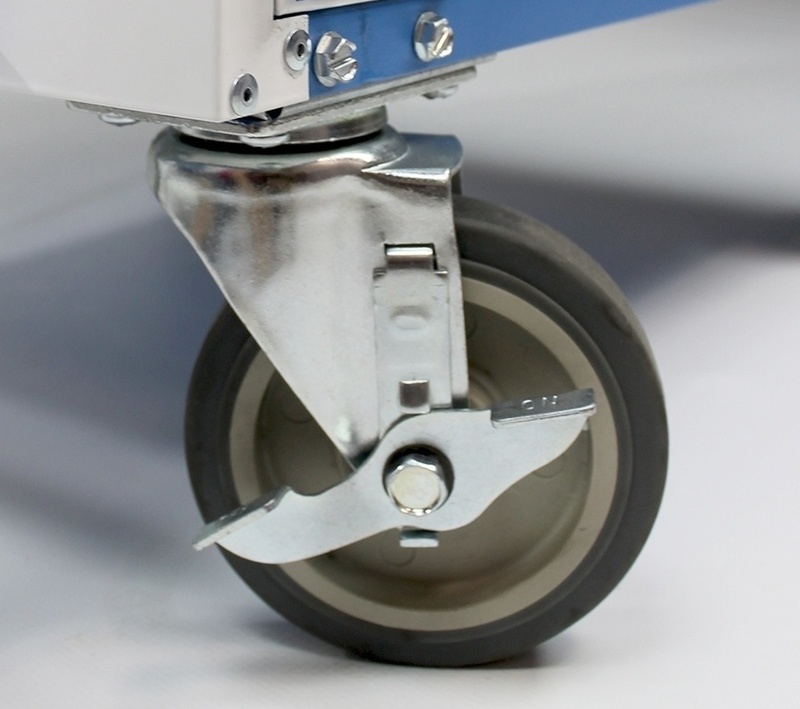 These solutions use detachable casters to make a stationary solution temporarily, or even permanently, mobile—and vice versa. 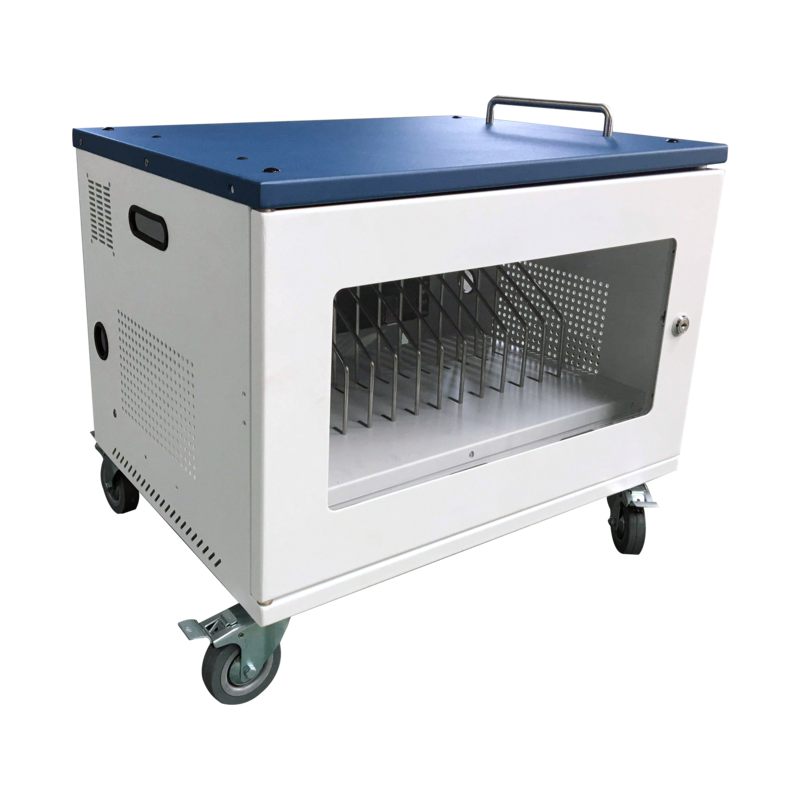 Investing in a charging solution with detachable casters will not only make your life easier when it comes to transporting the devices, but also give you a choice as to where and how you store the devices in the classroom. Based on your classroom’s layout, it may also be useful to look into charging solutions that can not only be stored on the floor, but also be mounted to a wall or desk. This flexibility in installation will allow you to rearrange your classroom as often as you desire, while also ensuring that the devices are both charged and conveniently located so students can easily access them. 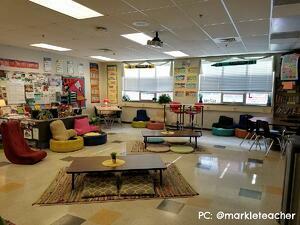 One of the largest criticisms of flexible classrooms is the cost of re-designing them. Luckily, there are a number of budget friendly options available to teachers. This is true of charging stations too and the trick is to do the research. Similar to refurnishing classrooms, here the primary goal should not be staying within the budget, but instead be about how you spend the budget. Knowing what types of devices your school will have to accommodate for in the future, especially in BYOD environments, is unpredictable. For this reason, making the decision to invest in a long term, yet still affordable solution is often the best option. By selecting a charging solution with a compact footprint, it is possible to maximize the space you have available to play with. Modular charging solutions are not only compact, but lightweight and easy to assemble or disassemble based on classroom needs. One of the biggest advantages to modular charging solutions is in their functionality since they can be reconfigured to accommodate more, or less, devices according to class sizes. The ability to store modules separately, or together, also provides you with a greater number of options when deciding where to install the solution. For example, storing smaller modules on opposite sides of the classroom may improve the flow of traffic when students go to collect or return the devices. On the other hand, stacking or combining smaller modules into a single unit may prove useful when storing the devices in a classroom with limited space—especially if casters can be added to help maneuver them. By providing creative alternatives to traditional classroom arrangements, flexible classrooms help provide differentiated learning opportunities for students by giving them the opportunity to experiment with and choose which learning space works best for their learning style. With the assortment of charging solutions available on the market, there are a number that may be more suitable for integrating technology into flexible classrooms when compared to others. So, be sure to do the research! Flex-Share Charging Stations are modular charging solutions that can be configured in multiple ways to best satisfy the charging requirements and space limitations in each classroom. Charging and securing up to 16 devices each, these charging stations offer a variety of installation options that help maximize classroom space and improve the flow of student traffic when deploying devices. Click below to watch a video about Flex-Share Charging Stations and request more information or a quote!